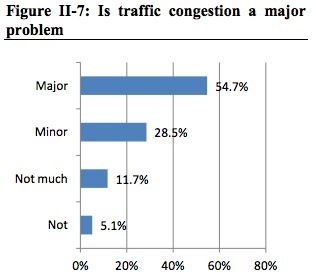 Basically, Charlottesville people want transportation improvements – whatever they may be. Keep in mind, Charlottesville traffic is relative; to those of us who live here, twenty minutes is a far drive. To those not from here, twenty minutes is short. And no, we’re not used to Northern Virginia traffic.